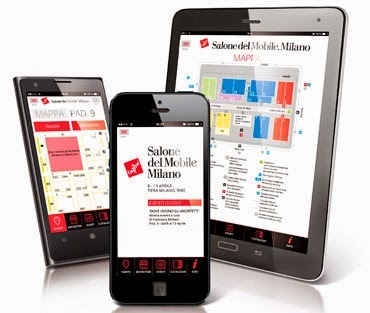 point out to all those who are planning to visit the Salone del Mobile in Milan, which will be held from 8 to 13 April, this year , on the occasion of the event, have been released on the App Store two dedicated app, English language. 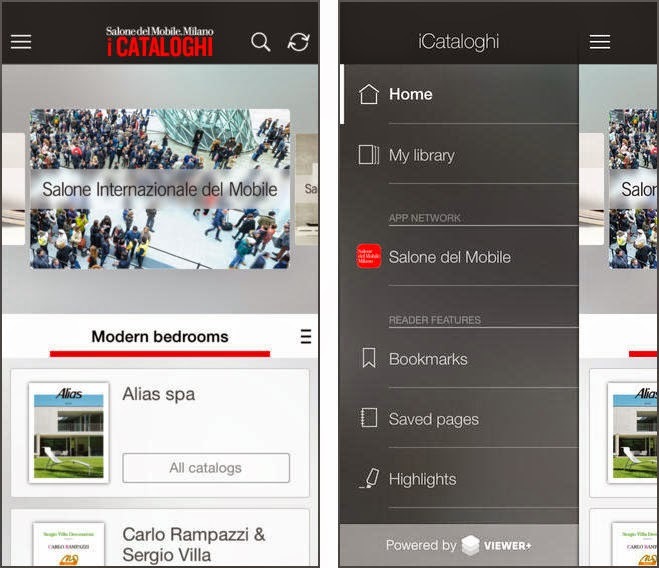 Through the Salone del Mobile Milan iCataloghi, new this year, you will have access to a real virtual window through which to view the products of the exhibitors. iCataloghi, newsstand is an app that contains within it the catalogs, broken down by category and by exhibiting company. Ready to go! The App is now free to download for iPhone, iPad and Android. Find easily: the list of exhibitors (organized by event, pavillion and category), location of the stands, floorplan of the Fairgrounds, schedule of events, all the information you need to facilitate your visit to the Salone and many tips about the after show. 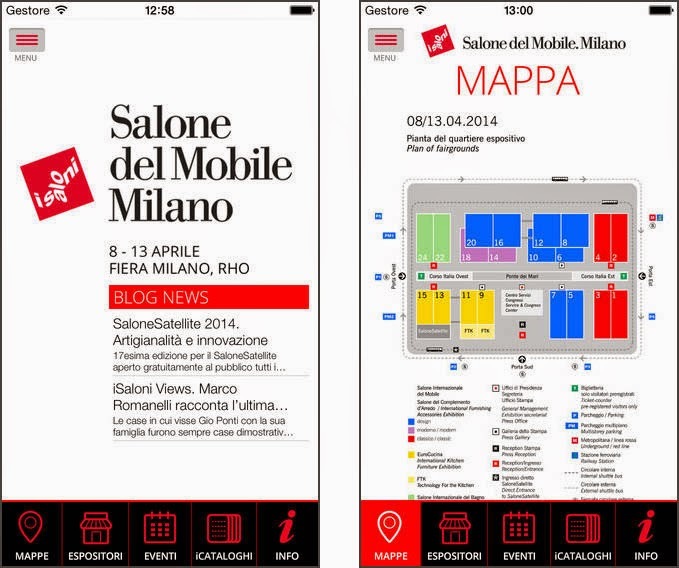 App Salone del Mobile.Milano 2014 Official. This blog is an appendix of www.sketchup texture.com that many already know for the wide range of material for the 3D, but 30 years of work in the field of fashion and design, lived with undiminished passion and with the same enthusiasm of my twenty years push me to go over to Share with whom like me is in love with this wonderful work, besides my experience even the best work of young architects from all over the world who are distinguished for their talent. I apologize to all my future fans for my bad English but I think this is the only language that will allow me of communicating with every part of the world. sketchuptexture-trends.blogspot.it/ Copyright © 2013 - 2014 - All Rights Reserved . Simple theme. Powered by Blogger.